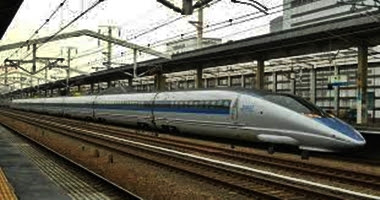 The Mumbai-Ahmedabad high-speed rail project that was launched in Ahmedabad by prime minister Narendra Modi and Japanese prime minister Shinzo Abe, has the potential of creating 20,000 direct and indirect employment opportunities, according to a report by State Bank of India’s research team. After the commissioning of the project, direct employment of 4,000 employees will be created for the operation and maintenance. Further the project is likely to generate about 16,000 indirect employment opportunities. The state of the art railway project that is being implemented is estimated to cost of Rs 88,000 crore. Notably, the project is being funded at an extra nominal cost of only 0.1% (comparable rates are of 5% -7%) with a much larger repayment period. Prime Minister Narendra Modi and his Japanese counterpart laid the foundation stone of the Mumbai-Ahmedabad High-Speed Rail (MAHSR) project in Ahmedabad. Besides job creation, the project is expected to bring skills in the field of ballastless track construction, installation of communications and signalling equipment, power distribution system. Modern and world-class practices will be adopted for maintenance of the railway system, which is expected to bring a paradigm shift the maintenance practices currently being followed in Indian Railways.